I have never understood, nor do I care to understand, people who are so unwilling to try new dishes. Especially when they are a tried and true dish from another country! 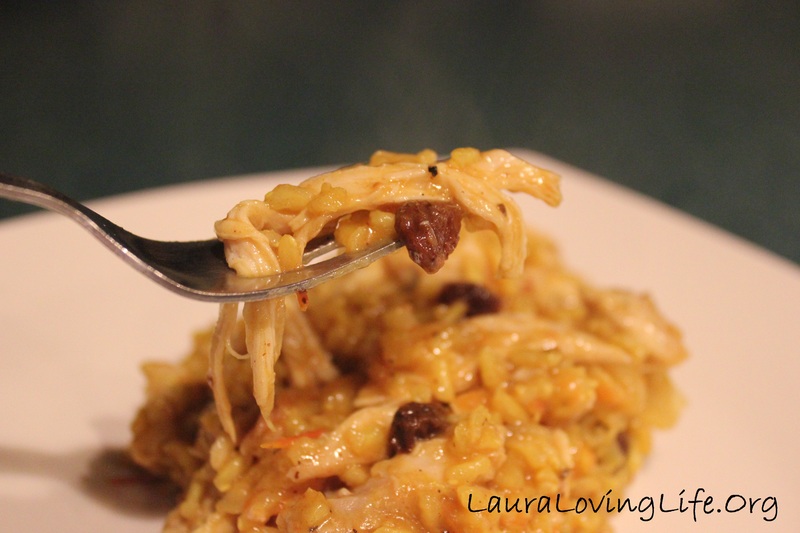 I love to experiment with new dishes, and if it is not a favorite in the family then we move on but at least we try and sometimes (like with this dish) it is amazing and there are no leftovers! 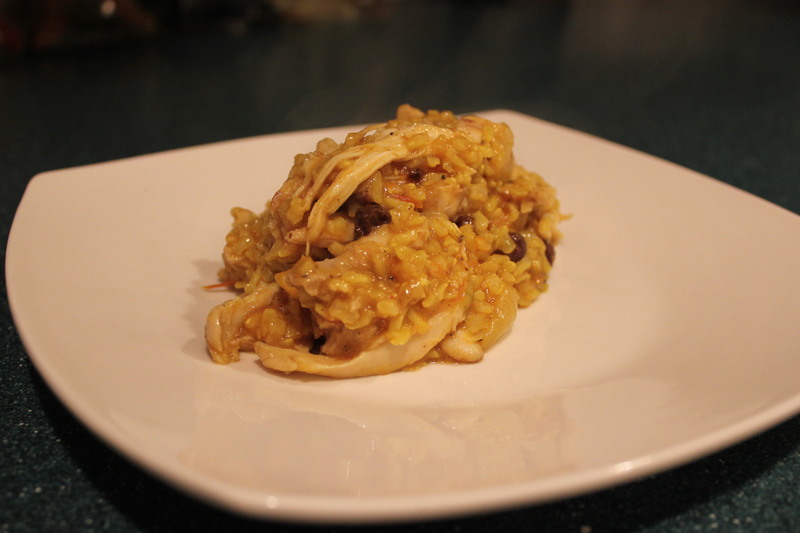 Be mindful, this is a flavorful dish with a lot of spices in it! I loved the mixture, Dear Hubby, wondered what I was cooking by the smell. (There is cinnamon in the mixture; he is not a fan of that spice at all) But as usual, he devoured the meal and had a second helping (we all did really) I know there are many variations to Mandi, much like the Spanish Paella; Palestinians make it with bell peppers and shredded carrots. Rather than using the baharat, you can substitute cardamom, cinnamon, cloves and all spice in addition to the bay leaves and dried lime (black lime). 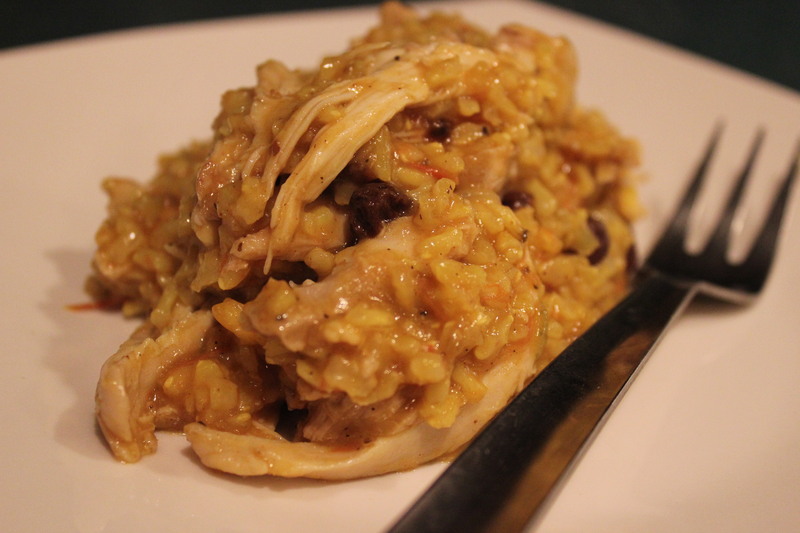 I nixed the dried lime (did not have any) and the dish was still superb! If you’re daring and you have the time, then I would recommend every last scrumptious bite of this meal. Be forewarned it takes some time to cook this. The rice is a minimum of 45 minutes. While it was all cooking, my daughter and I made a pie! 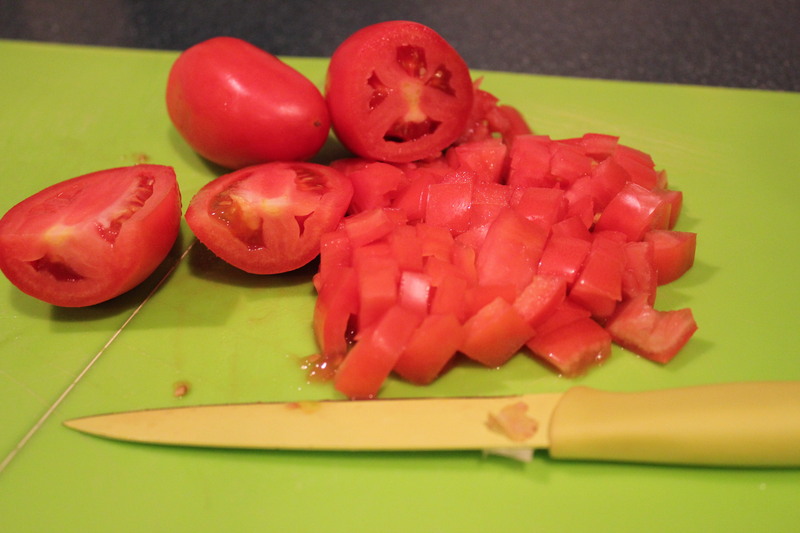 There is always more to do while waiting on one thing or another to cook. You will need the following for the meal. 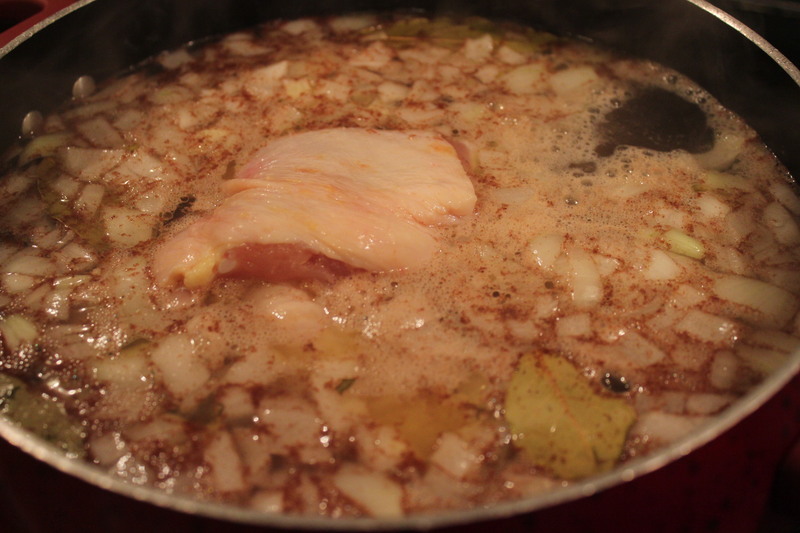 Place chicken thighs, drumsticks, and breasts into a large pan and pour in 6 cups water; stir in 1 teaspoon salt, 1/2 cup chopped onion, bay leaves, and cinnamon sticks. 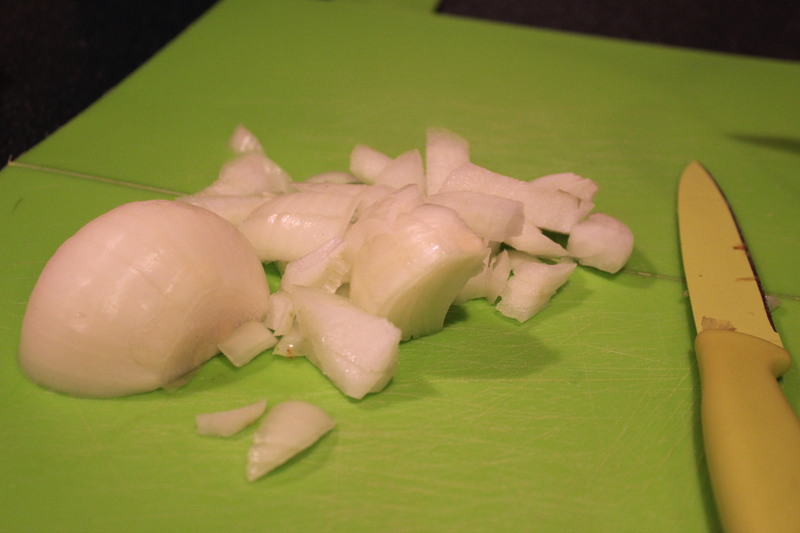 Bring to a boil, reduce heat to low, and simmer until chicken is tender, about 40 minutes. Remove chicken, strain the broth. Soak golden raisins with 1/3 cup water in a small bowl. 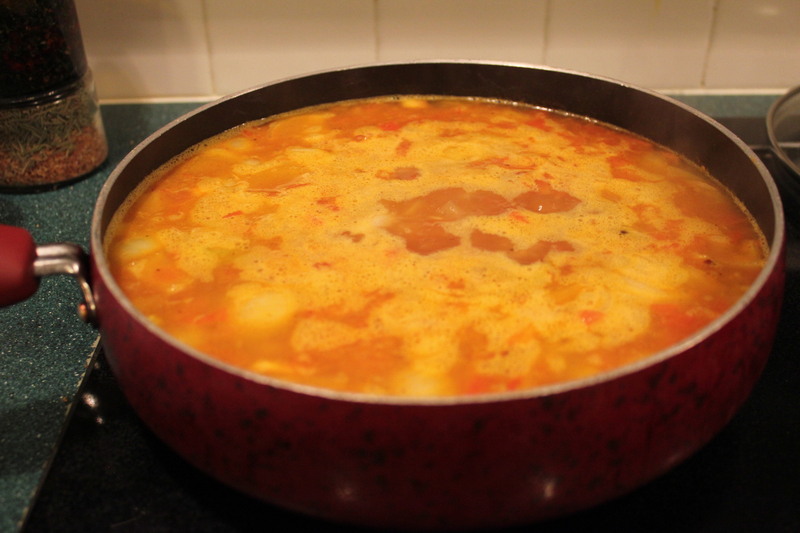 Heat 2 tablespoons vegetable oil with 1 tablespoon butter in a large pan. 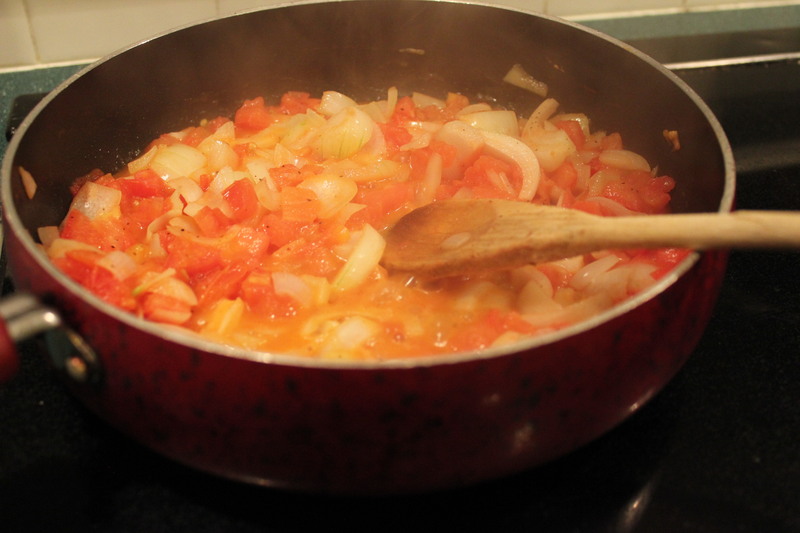 Cook and stir 2 cups onion with tomatoes until vegetables soften, about 10 minutes. 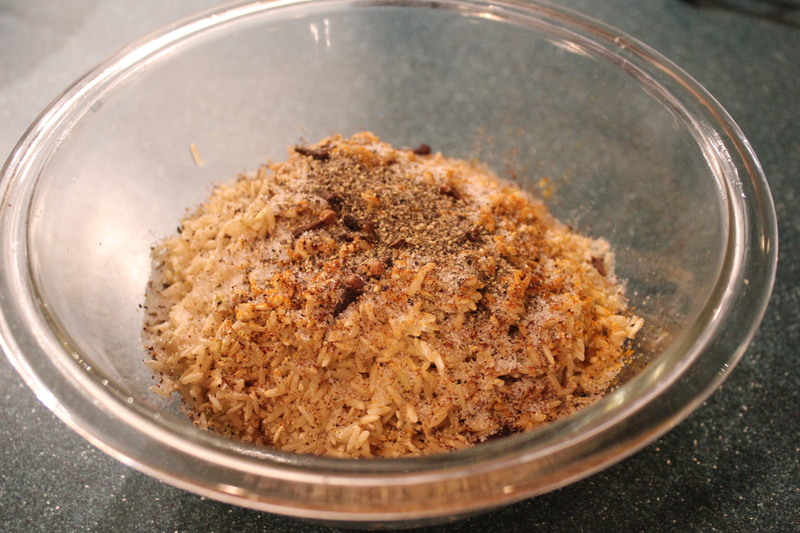 Mix in the seasoned rice and cook until rice grains are hot, 2 to 3 minutes; pour in chicken broth. Bring to a boil. Mix in soaked golden raisins. 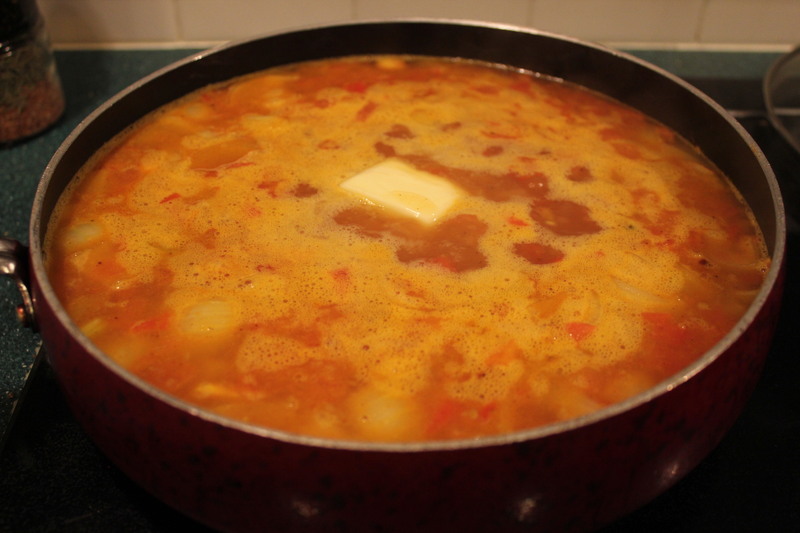 Place 3 tablespoons butter into the pan, let melt, and turn heat to low; simmer covered until rice is tender, about 45 minutes. 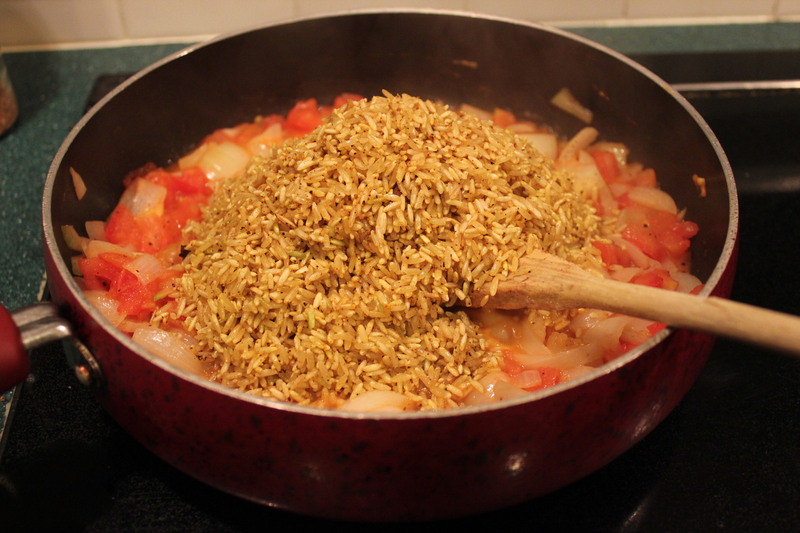 It will take all of the 45 minutes so don’t keep uncovering the rice, allow it time to cook! 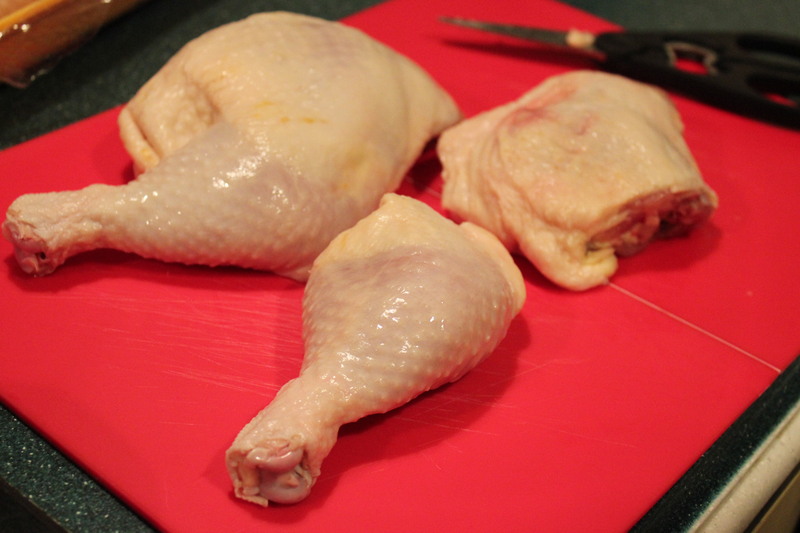 Tear chicken meat off the bones into bite-size pieces. 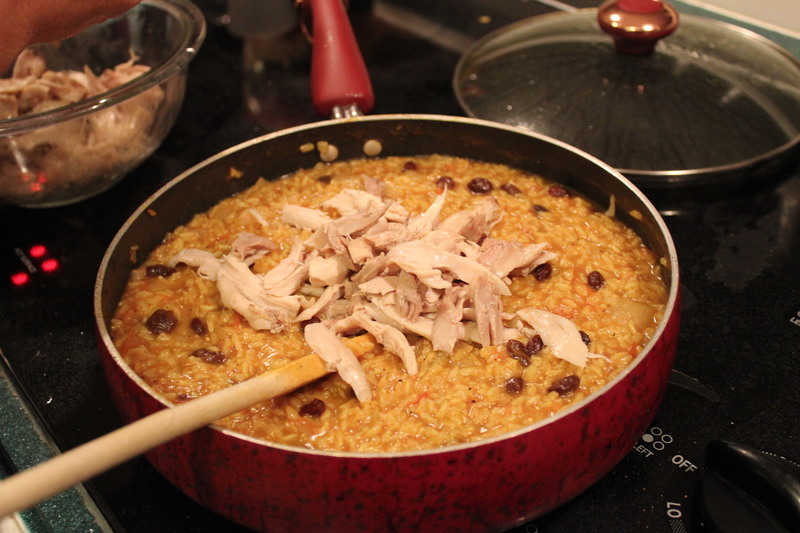 Spread the rice onto a large serving platter and distribute cooked chicken over the rice to serve. I incorporated the chicken into my mixture so I could plate it and start the meal.